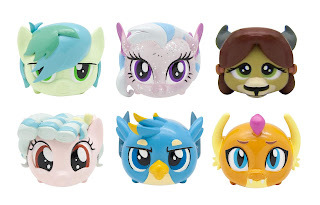 Hasbro is going to organize their very first HASCON convention on September 8-10, and while there are no exclusive figures planned, they did tease a My Little Pony box. This box is not to be confused with the MLP subscription Box, because this is a one-time release at HASCON. 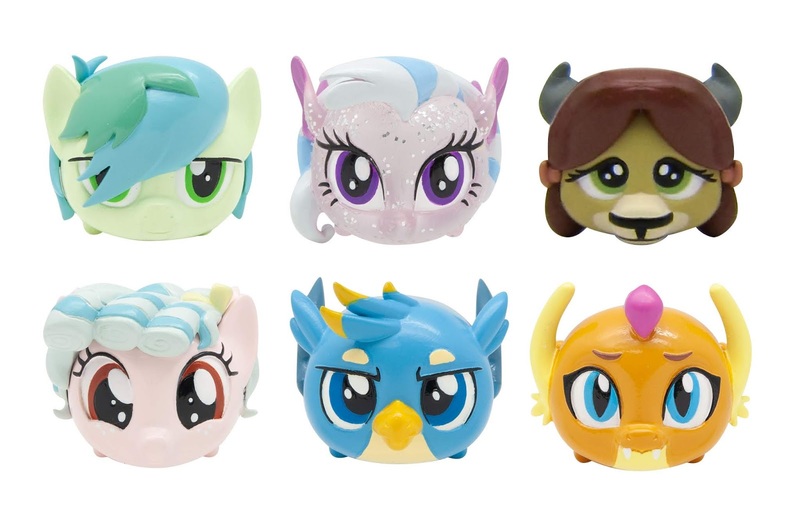 It will be sold for $19.99 each and contains a wide range of merchandise from both Hasbro and licensed companies. 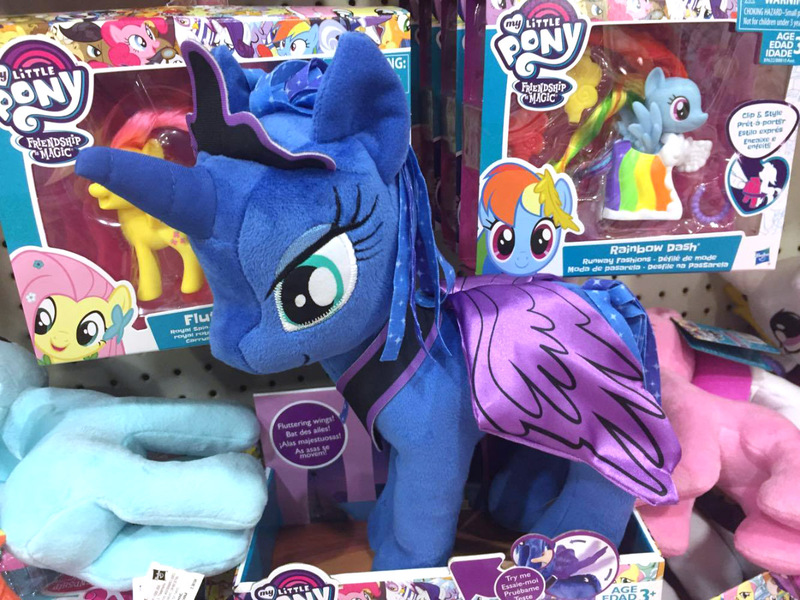 Hasbro has included an All About Pinkie Pie brushable as well as a small Rainbow Dash seapony plush. 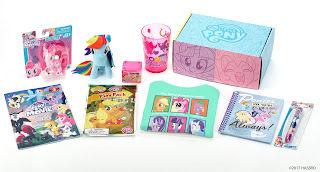 Other items include a reading book, exclusive t-shirt, tumbler and a Stack'ems figure. Overall I would estimate the value of the box around $50-$60, so it's a pretty good deal you get! 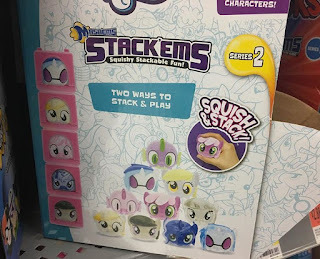 It's unsure how many of these boxes will be available at HASCON, and whether any left stock will be sold through other ways (HasbroToyShop for example), but we'll keep an eye out for any news on that! 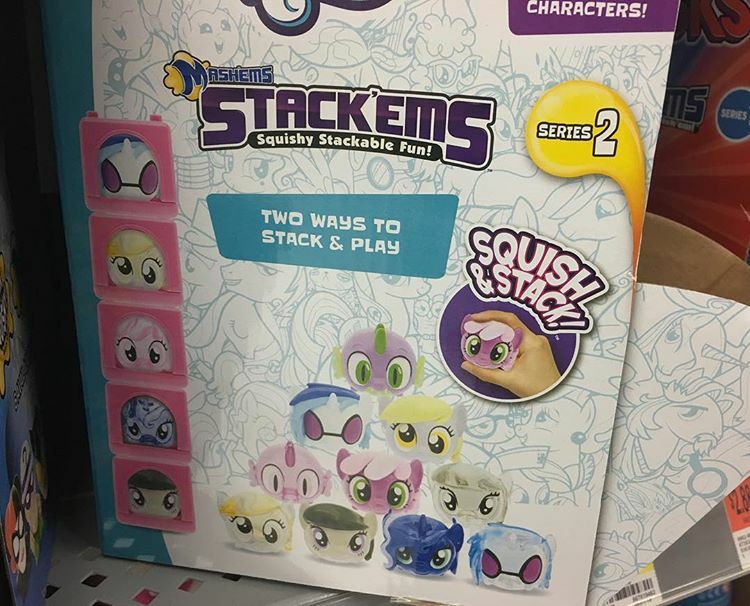 Update 2: The Pinkie Pie figure is going to be released as a regular single brushable, so not exclusive figure here! This week we've got a very international store finds post with photos from the US, UK, Ireland, Singapore and Poland! 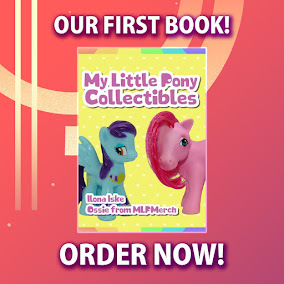 We see a few first-time release merch as well as some merch that has now been confirmed to be available in other countries, so head on down and read all about it!